Are you planning on building a new home? 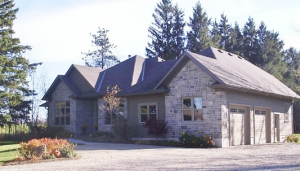 We have 15 years experience in custom home building! Whether you already have a plan, or need help with the design, we can help you through your project from start to finish. Coordinating a build can be challenging and time consuming. Let us help make your project run smoothly and efficiently. 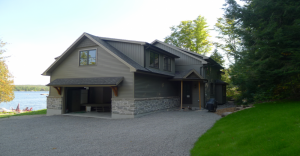 Our experience in Home building and renovating has also taken us to cottage country in the Peterborough and Kawartha Lakes area. If you are planning on building a new cottage, we are your choice from design to completion. It can be very frustrating trying to find a company with experience that isn’t going to take advantage of your ‘cottage pocketbook’. We have had personal experience rebuilding our own cottage and the difficulty in finding reliable, efficient trades. Allow this to benefit you and let us help you with your cottage project!